Broadcast media across Colorado joined forces for “Colorado Flood Relief,” a live fundraiser on Wednesday, September 18, to support American Red Cross Disaster Relief efforts in Colorado and Community Food Share, which equally split donations between Community Food Share, serving Boulder and Broomfield Counties, The Food Bank for Larimer County, and Weld Food Bank. Together we raised more than $1.1 million dollars for the Colorado Flood Relief Fundraiser. Thank you for donating! Together with you, we raised $1,101,044.00 for our community in a time of need. THANK YOU. Stations cut in during their newscasts throughout the evening. Dozens of Red Cross volunteers were at Rocky Mountain PBS’ studios taking your donations by phone. 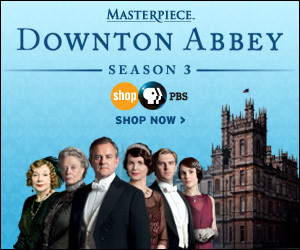 Colorado Broadcasters Association, Rocky Mountain PBS, Colorado Public Television, KUVO, KUNC, KGNU, KRCC, KAFM and KVNF joined commercial television stations 9NEWS, 7NEWS, KKTV, KKCO, KJCT, Azteca Colorado, CBS4, KDVR, KWGN, KREX, KYGO (radio), KDEN Telemundo, Univision and Entravision. With thanks to Encana Corporation for underwriting this event. Encana is contributing $250,000 to flood relief efforts in Colorado. Encana Oil and Gas. Proud to assist communities where we live and work. In response to the devastation of the Colorado floods, we have a list of organizations and resources that offer tips, information and guidance about how to help and how to receive help during this critical time. 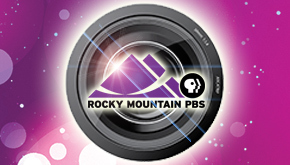 For the most up-to-date news coverage, get the latest reports from I-News at Rocky Mountain PBS and our partners at KUNC, serving northern Colorado. 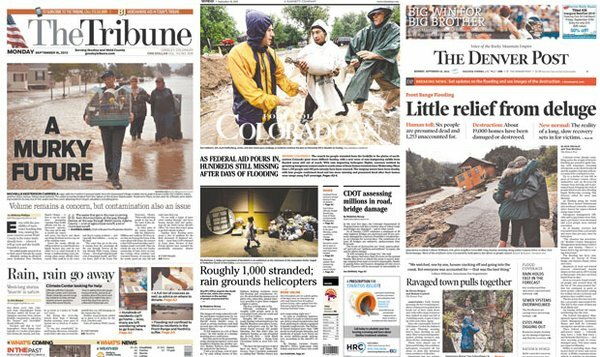 The Denver Post's interactive map covers emergency flood shelters, rain totals for Colorado towns, and news stories by location. The Post will continue to share news, photos and resources around the clock. 9News has a list of current closings and cancellations as well as the latest video footage. The City of Boulder is actively tweeting updates, and the City of Lyons is responding to questions and concerns on their Facebook page. Colorado Department of Transportation has information on road closures and conditions. HelpColoradoNow.org will continue listing volunteer and donation opportunities. Sesame Workshop offers Let’s Get Ready! Planning Together for Emergencies with tips, activities, and other easy tools to help the whole family prepare for emergencies. Sesame Street also offers additional toolkits for helping children deal with stress, loss and traumatic circumstances. The American Red Cross, Colorado chapters, has information on how to help and donate. Donate to the Salvation Army's Colorado flood relief efforts. 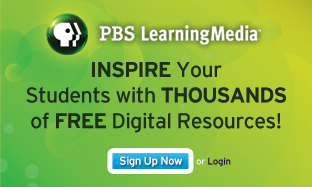 Innovative, engaging, free digital content for the classroom. When you support local programming you can choose from a number of thank-you gifts. Powerful and inspiring local programming that affects you and your community. A major multiyear, multiplatform initiative to educate and enlighten. 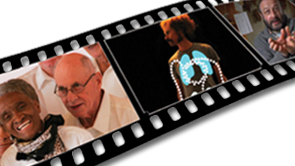 Free documentary screenings in a city near you!